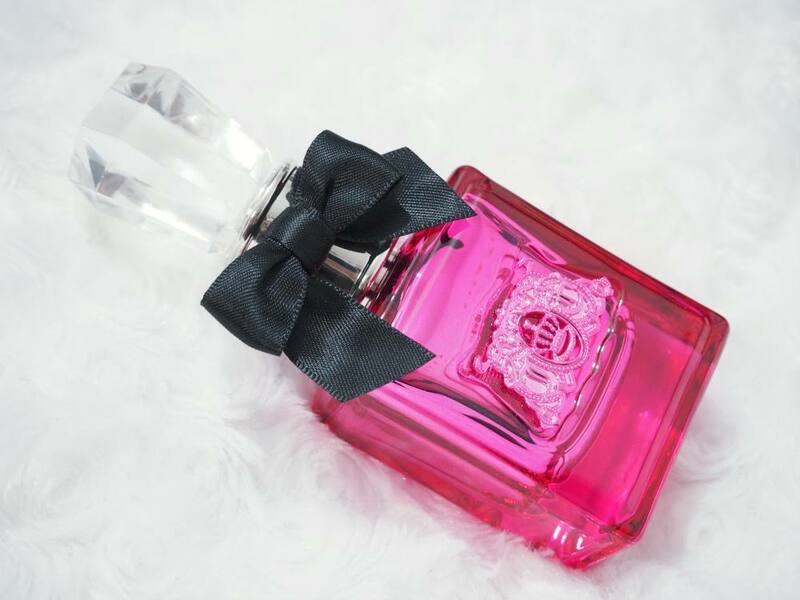 Juicy Couture Viva La Juicy Noir Eau de Parfum | Gemma Etc. I’ve professed my love for the Juicy Couture fragrances many times on blog in the last three and half years, and they’re definitely one of my favourite fragrance brands. I own nearly all of the Viva La Juicy editions apart from Viva La Juicy Rosé and Viva La Juicy Fleur and I love adding the new additions to my collection. There’s something about the Juicy Couture bottles; they’re so blingtastic and they really stand out within my fragrance collection with their decadent crystal-esque lids. I’m not really a fan of Juicy Couture as a fashion brand but I love their fragrances and I realised I’d never done a post on the Juicy Couture Viva La Juicy Noir Eau de Parfum so I decided it was time I rectified that. 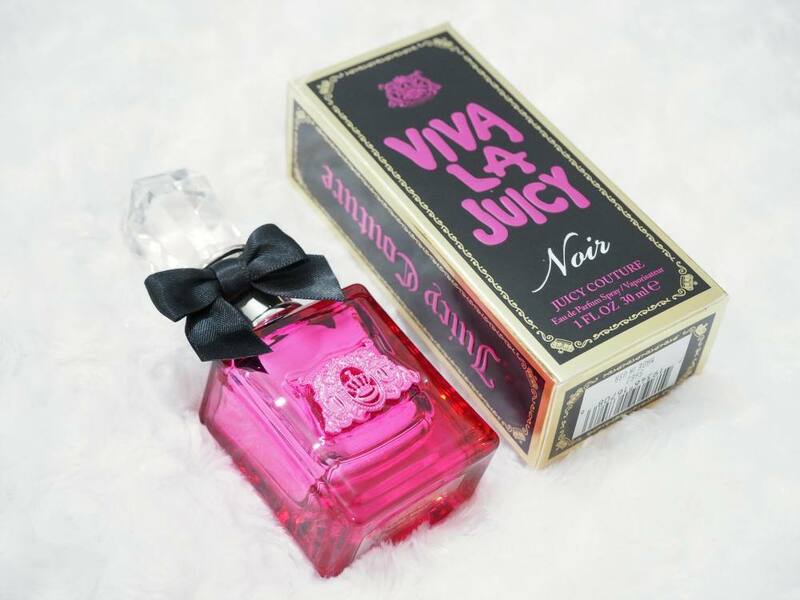 I would describe Juicy Couture Viva La Juicy Noir Eau de Parfum as being a more intense version of the original Viva La Juicy which is very sweet and berry based, but Noir is sweeter and a little less berry due to the amber, caramel and vanilla. I’m not sure why this scent is called Noir as it’s not what I’d describe as being a night time fragrance as it’s not overly strong but I do love it nonetheless. For an evening fragrance, I’d be more inclined to use Viva La Juicy Gold Couture as I find that it lasts longer on the skin but I really like using Noir during the daytime. I don’t find any of the Viva La Juicy incarnations to be impressively long lasting but that doesn’t bother me too much as I love the fragrances so much and enjoy reapplying them if needed. 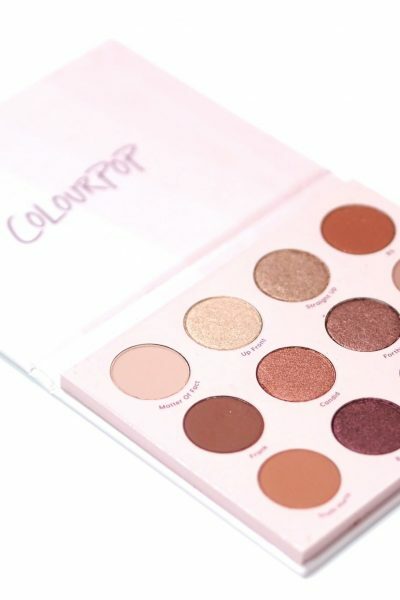 If you found the original Viva La Juicy to be a little too ‘young’, I think Noir would be the perfect alternative as it’s a slightly more grown up version of the original, but it still embodies the girliness of the original. I’d love to know if you love the Juicy Couture fragrances as much as I do?